Before the announcements, I have some new items to show. 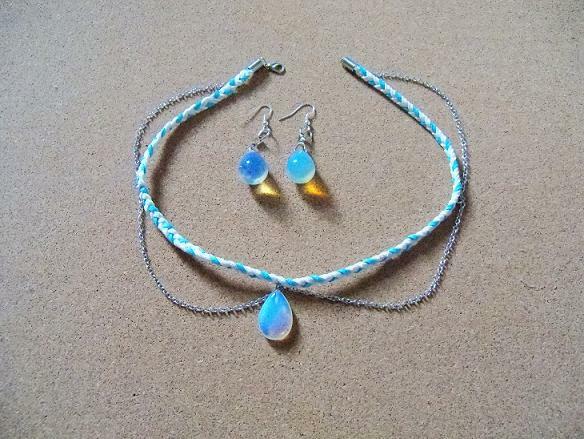 They have just recently been listed on webstore. 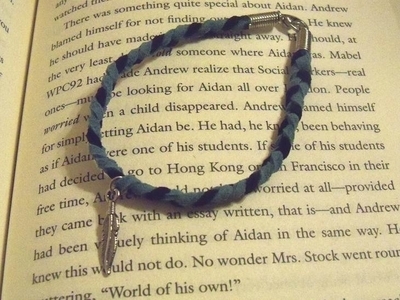 This is a leather charm bracelet. 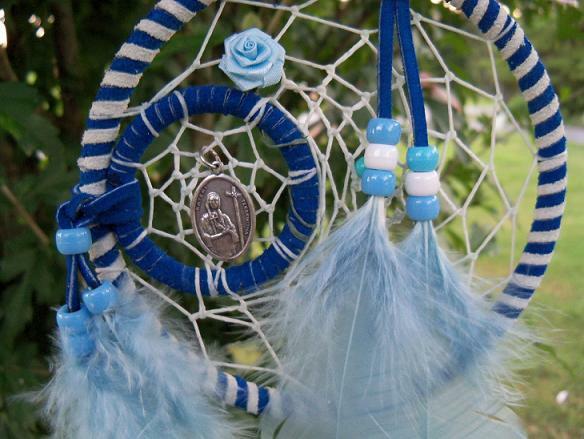 Made with blue and black soft leather lace and a silver feather charm. $7, plus $2.50 for shipping and handling. 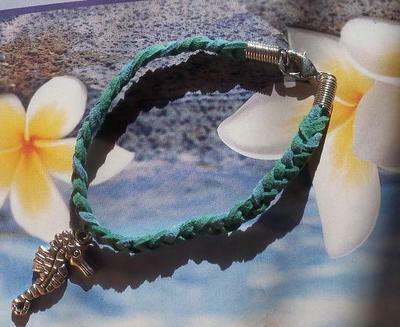 This bracelet is made with light blue and green soft leather lace and a seahorse charm. $7, plus $2.50 for shipping and handling. 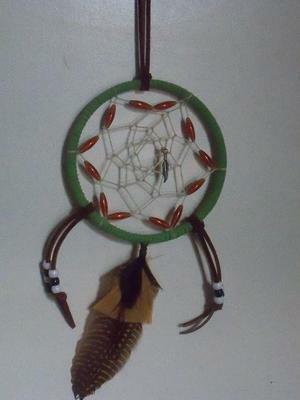 This is a green and brown Dreamcatcher. The hoop is 5 inches. $20, plus $4 for shipping and handling. 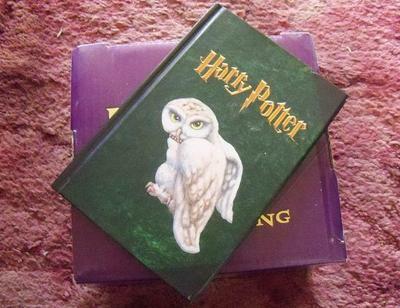 This is a Hedgwig journal. I’ve never used it so it’s never been written in and it is in good condition. $5, plus $3 for shipping and handling. 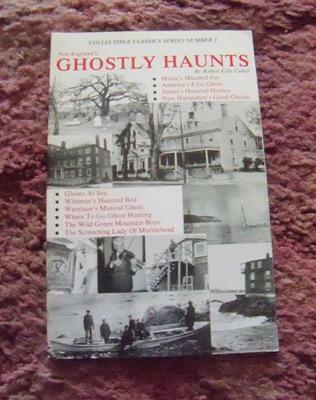 This is a copy of New England’s Ghostly Haunts by Robert Ellis Cahill. It’s a total of 48 pages. $5, plus $3 for shipping and handling. 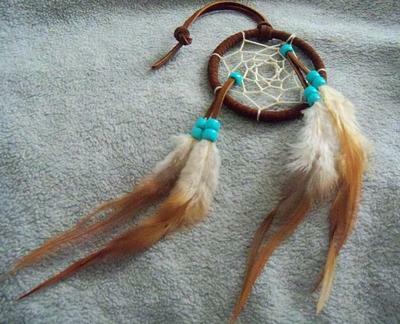 3 inch Dreamcatcher made with brown leather, brown feathers and turquoise beads. $8, plus $3 for shipping and handling. 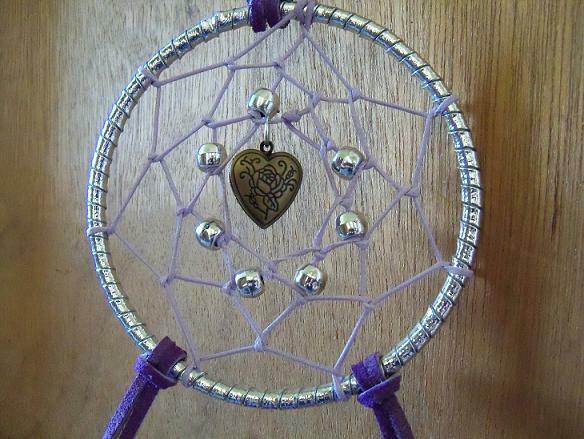 This is a Saint Kateri Tekakwitha Dreamcatcher. Two hoops, one 4 inches, the other 2 inches. The leather is turquoise so are the beads, the feathers are brown and the second hoop has a flower on the web. The first hoop has a Saint Kateri medal. $25, plus $4 for shipping and handling. This is a mandala and it’s the first one I’ve made. 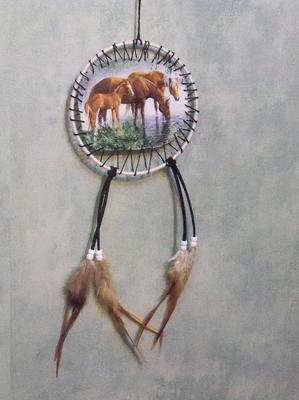 The hoop is 6 inches and the picture in middle is of horses. $20, plus $4 for shipping and handling. All these items are ones I’ve added to webstore recently. A few of them I actually finished making before writing this post. I have a total of 45 for sale in my store on webstore right now. 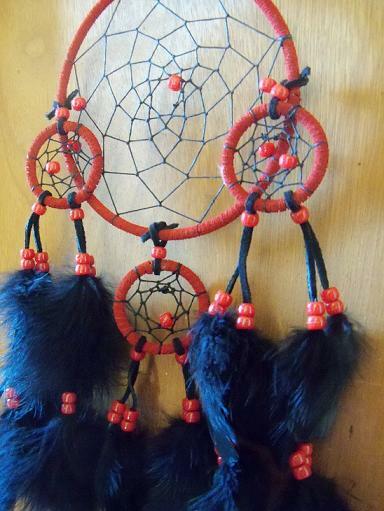 Dreamcatchers and other crafts, some gently used items like books and cds also. I will continuing to add more items. First time customers can now get 10% off one item! The coupon code is FIRSTTIMECUSTOMERS and you use when you get to the check out on webstore. So, if there is an item you really want, now you can get 10% off it! And now the other announcement. 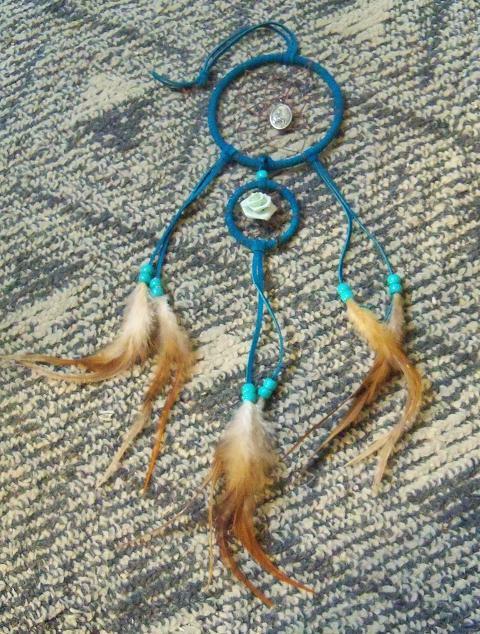 Every item purchased that is $15 and up, from it a dollar will be donated to St. Joseph’s Indian School.